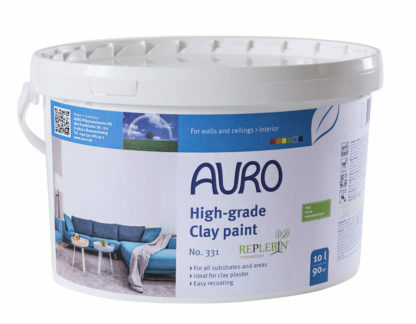 AURO High-grade Natural Clay paint is the first ready-to-use clay paint on the market that has no preservatives at all. The clay paint for living spaces is suited for all interior wall surfaces. It is splash water resistant and therefore well suited for application in kitchens and bathrooms. The cream white shade of the clay paint gives it an appealing, fine colour effect. Many positive characteristics speak in favour of this consistently ecological dispersion clay paint: It has a moisture regulating effect and is open to water vapour diffusion and highly breathable. The biogenic binding agent REPLEBIN®* guarantees professional product features, e.g. a good abrasion resistance (class 3, DIN 53778) and opacity (class 2). Due to the binding agent REPLEBIN®* used in this interior wall paint, the product has a very low emission according to the strict AgBB evaluation scheme. Roller application produces a a fine and smooth coating because the light clay used in the product is not granular or sandy. The High-grade Clay paint can also be applied with a brush or by airless spraying. 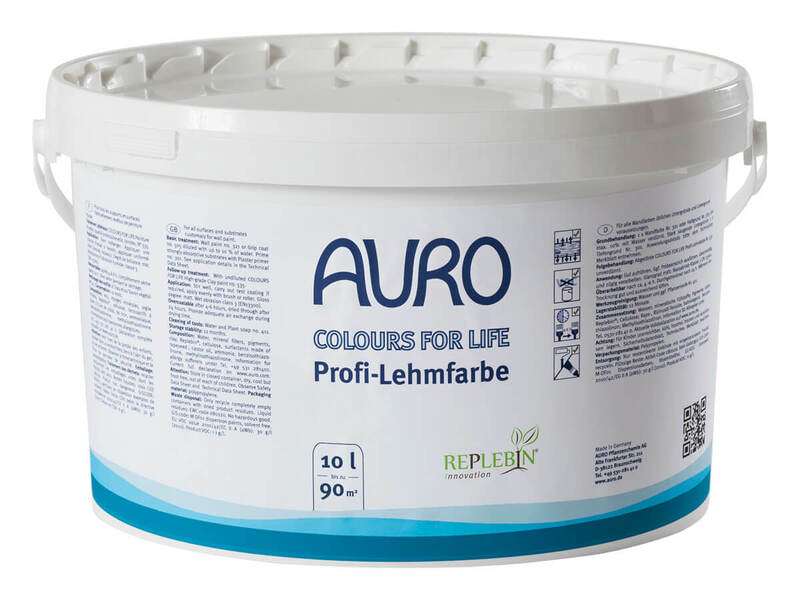 If a coloured clay paint is required, AURO also offers the COLOURS FOR LIFE High-grade Clay paint no. 535 that is available in more than 700 machine-mixed shades. *REPLEBIN® is a legally protected development, a result of AURO’s own research. The biogenic nature of the binding agent is regularly examined and confirmed by SGS INSTITUT FRESENIUS. Undiluted application on uniformly white surfaces. On other surfaces, 1 coat diluted with up to 10% of water, or prime coat with AURO Grip coat, fine no. 505. 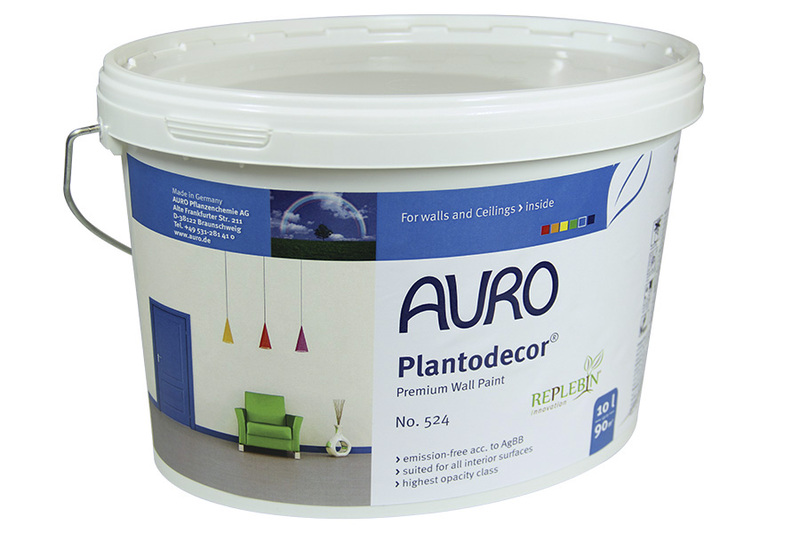 Prime strongly absorptive substrates with AURO Plaster primer no. 301. Subsequently, apply one or two coats of undiluted clay paint.